Make yourself at home in one of the 50 guestrooms, featuring kitchens with full-sized refrigerators/freezers and stovetops. LCD televisions with satellite programming provide entertainment, while complimentary wireless Internet access keeps you connected. Conveniences include microwaves and sofa beds, and housekeeping is provided once per stay. With a stay at Hotel Llop Gris in El Tarter, you'll be on a river, within a 5-minute drive of Soldeu Ski Resort and GrandValira. This 4-star hotel is 9.4 mi (15.1 km) from Pas de la Casa Resort and 10 mi (16.1 km) from Caldea Spa. Apartament holidays are a great option for friends or families who want to be together. Our apartaments are pleasant and espacious and are decorated in typical mountain style. They all have a living room with satelite TV and two sofa-beds and a separate bedroom with twin beds. All are equipped with safes and the complex has a ski locker and telephone cabin. You have easy access to all the services and facilities af the hotel Nordic situated right alongside the apartaments. WIFI access free in Reception Hotel Nordic Area and whit payment € 5 at day in room/Apartment. This delightful ski hotel is located at the heart of the tourist resort of El Tarter in Andorra. The hotel is located close to the Granvalira ski area, offering guests a great setting from which to explore the surroundings. Guests can enjoy a wide range of exciting activities nearby. This superb hotel greets guests with the promise of a truly memorable stay. The guest rooms are luxuriously appointed, offering a haven of peace and serenity in which to completely unwind after a long day on the slopes. Guests will be impressed by the wide range of exemplary facilities that this superb hotel has to offer. Guests can enjoy an energetic workout in the gym, or simply sit back and unwind in the Jacuzzi or the sauna. 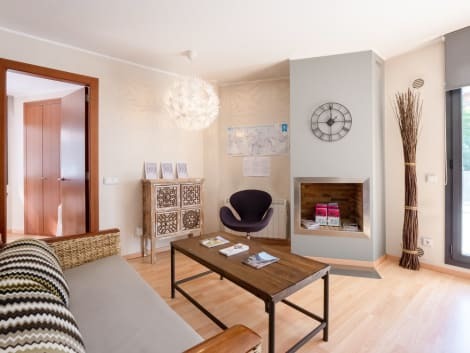 With a stay at Apartamentos La Merceria 3000 in El Tarter, you'll be in the mountains, within a 5-minute drive of Soldeu Ski Resort and GrandValira. 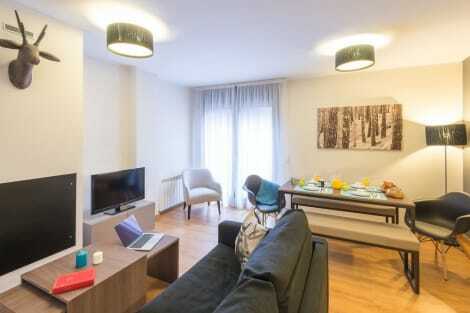 This ski apartment is 9.7 mi (15.6 km) from Pas de la Casa Resort and 9.9 mi (15.9 km) from Caldea Spa. lastminute.com has a fantastic range of hotels in El Tarter, with everything from cheap hotels to luxurious five star accommodation available. We like to live up to our last minute name so remember you can book any one of our excellent El Tarter hotels up until midnight and stay the same night.